The weirdest thing happened to me a few years ago. I was working as a product consultant creating recruitment assessments for big companies. I convinced myself that I was proud to be working in a role that was related to my master’s degree in business psychology. It wasn’t long until I became extremely unfulfilled, disconnected and depressed. I felt pressured to be everything but myself and felt like I was being trained to walk, talk and work like a robot. I was beckoned with alarm bells, such as experiencing negativity, office politics, feeling unfulfilled and making mistakes to sabotage my success in the role. But I didn’t think I was worthy of anything more so I continued to play small. If you’ve read my previous article on our upper limit problem you’ll understand the link between self sabotage and our success comfort zone. Read Overcome Self Sabotage With These Two Vital Steps (I promise they work!). I refused to listen because I was avoiding facing the pain of not being happy. So, I carried on living in denial and then the weirdest thing EVER happened. I acknowledged that this was a strong call to do something different. Looking back now, I experienced a call to genius to express my natural gifts passionately to the world. 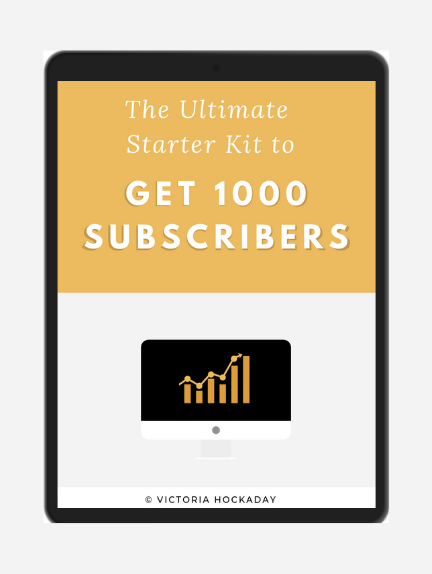 So, I started an online business and I haven’t looked back since. When you realise that you’ve expended your energy doing things that don’t bring joy or satisfaction in your life, you’ll start to value your unique gifts that you have to offer the world. It’s also reassuring to know that you don’t have to know how to do everything in your life. 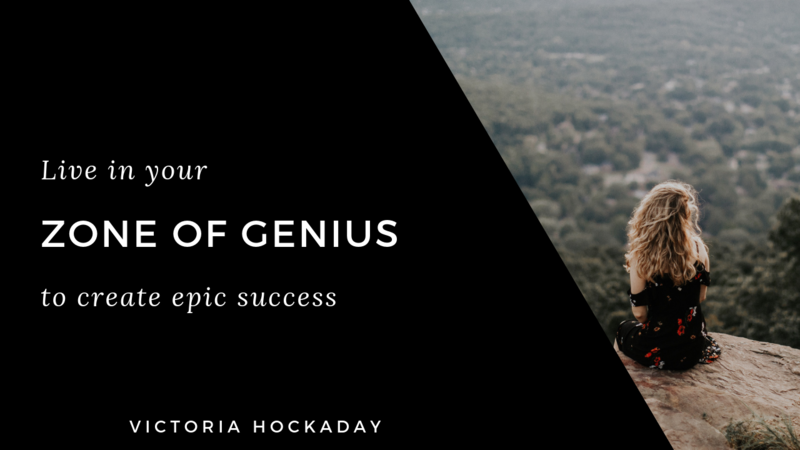 Gay Hendricks argues that to expand our perceived comfort zone of success we have to live more in our genius. Funnily enough, when you’re living in your zone of genius you create more joy, money and abundance in your life. You know when you’re in your zone of genius when you’re working on something and time flies by. I’d recommend reading the book, but if you follow these 4 steps you’ll realise the things that you don’t need to be doing in your business. First of all, you have to start with your zone of incompetence. Ask yourself, what are the activities that you do in your business? These are the things that you’re not good at but you continue to do them anyway. What activities do you do in your business that you’re not good at? Which tasks do you find difficult? Are there tasks that take you all day to do? Once you’ve discovered the things that you’re incompetent at you want to stop doing those activities and add them to your AVOID AT ALL COSTS LIST. Start saying no when someone asks you to do those activities and delegating those tasks to somebody who could do them better. The second step is to think about the things that you’re ok at that don’t give you much joy. These are most likely activities that only give you a small amount of satisfaction. The questions below will help you to find clarity on your zone of competence. What activities do you do in your business that you’re ok at? What things do you do that remind you that you’re not living up to your potential? If you’re expending too much time and energy in this zone too much time in this area you’re never going to be fulfilled. The third step is to think about your zone of excellence. These are activities that you perform extremely well at. What do I have a reputation for in my career?. 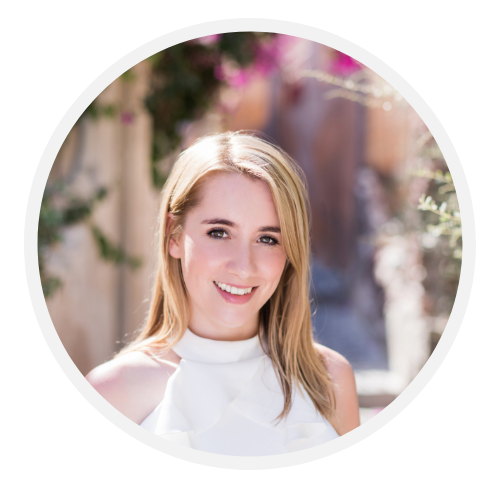 What’s my “thing” in my business? Once you’re aware of what you’re good at, you’ll see how you stay in this zone. It’s often the place where your friends and family want to stay because it seems safe and secure. The only problem with your zone of excellence is if you stay inside this zone, you end up feeling resentment and guilt for not living to your full potential. When you’re expressing your natural gifts you’re on the ultimate path to fulfilment and epic success. Your zone of genius is the set of activities that you are uniquely suited to do because they are in line with your strengths. When you’re not living from your zone of genius, life beckons you with prompts and alarms to wake up to your life. These are often disguised as burnt out, injuries, depression and relationship conflict. These calls are reminding us to pay attention to creating and living from our natural genius. For me, it was when I was working as a consultant for a psychometric consultancy. I started to experience alarm bells in the form of office politics, feeling unfulfilled, depressed and being made redundant. At the time, I thought it was the end of the world but now I’m eternally grateful because it pushed me in a different direction. I’ve never looked back since. What do you LOVE to do that you’re naturally gifted at? If you could do something all day long for free what would it be? Your road to epic abundance and success begins now. You’re here to express your unique genius on this planet and everybody is waiting to see those special gifts that only you have. Until you spend 70% of your time working in your zone of genius, you’ll continue to experience frustration, resentment, guilt and low self-integrity. When you have alignment between what you say you’re passionate about and your calendar you’ll experience ultimate alignment and ease. 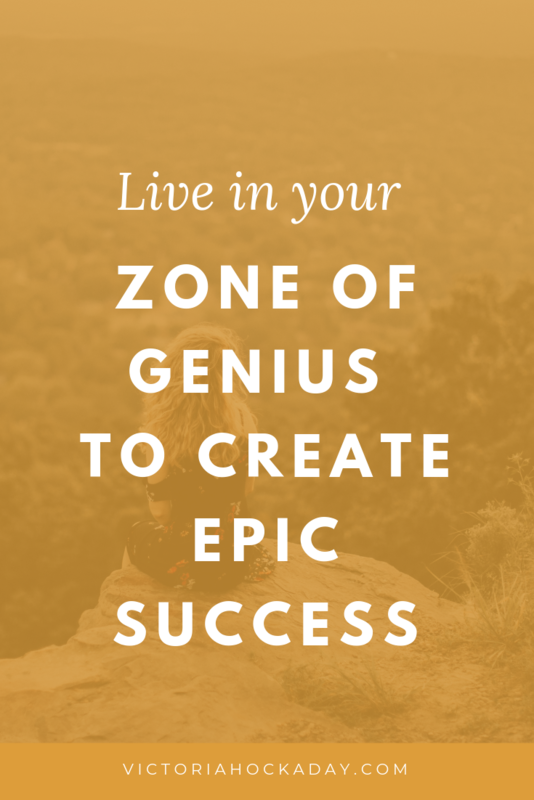 Once you’ve discovered your zone of genius make it your priority to spend more time in that space.